We did it again: Black Rock City 2009. This time, we're writing it up it up in the project blog. Days 1 & 2. Hard playa. Wind. Day 3. We finally start testing. Days 4-6 (part1). Here's where it gets technical. Days 4-6 (part 2). And technical again. Our BM2009 RF paths, a huge improvement over the year before. We got a visit from a CNet reporter. 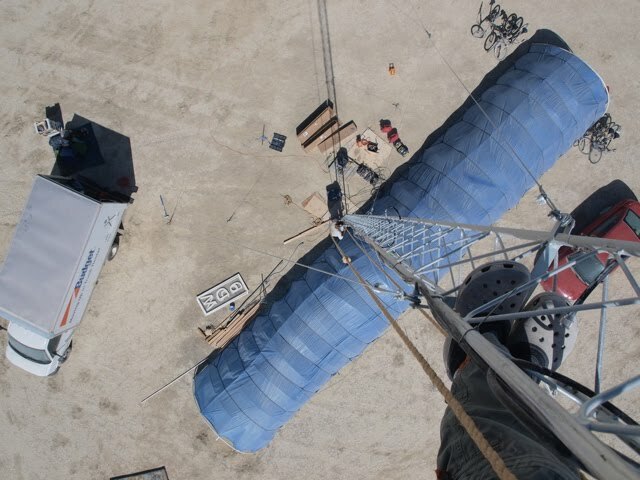 Her blog entry includes descriptions of Commnet Wireless' operations and some good photos of our equipmnet and camp. "Brian Wise", commenting on this blog, is convinced that we were deliberately spamming high-end phones. The slides from David Burgess' recent Astricon presentation. Copyright (C) 2009, Kestrel Signal Processing, Inc.